The Bodyweight glute bridge is a lower body exercise that primarily targets the glutes, but also works the hamstrings. This is an isolation exercise which is well suited to beginner lifters. 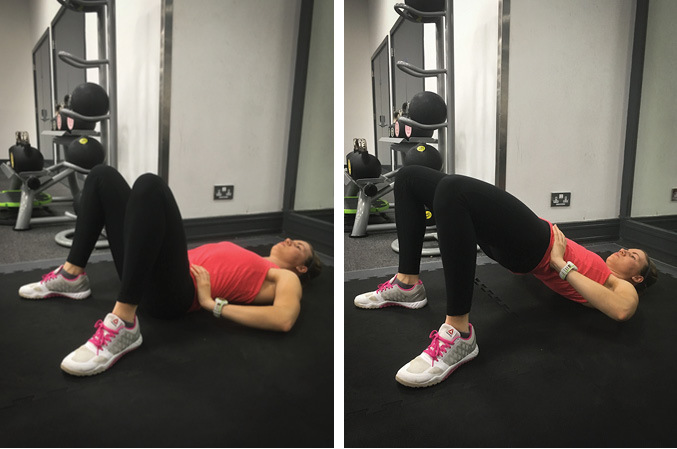 Lie on your back with your knees bent and feet shoulder width apart and close to your bum. Place your hands on your hips and tilt your pelvis forwards so that your lower back is flat against the ground. This is the starting position. Slowly lower back to the starting position until your bum touches the ground, and repeat.